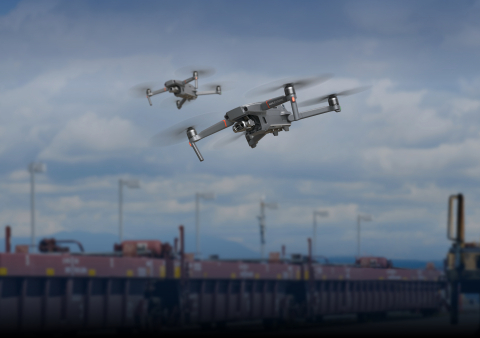 WILSONVILLE, Ore.--(BUSINESS WIRE)--FLIR Systems, Inc. (NASDAQ: FLIR) today announced that DJI, the world’s leader in civilian drones and aerial imaging, will integrate the FLIR Lepton® micro thermal imaging camera within its DJI Mavic 2 Enterprise Dual drone. This fully integrated, compact, gimbal-stabilized system will expand the close-range capabilities of commercial pilots, helping them to work better, safer and quicker with side-by-side thermal imaging and visible imagery. Like the Zenmuse XT2, the purpose-build Lepton for Mavic 2 Enterprise Dual pairs the FLIR thermal camera with a visible camera along with FLIR’s patented MSX® technology, or multispectral dynamic imaging, that embosses high-fidelity, visible-light details onto the thermal imagery to enhance image quality and perspective.